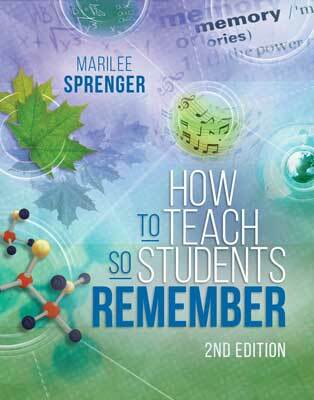 Presented by author Marilee Sprenger and based on her the 2nd edition of her book How to Teach So Students Remember, this webinar offers seven concrete, actionable steps to help students use what they've learned when they need it. The practical strategies and suggestions, carefully followed and appropriately differentiated, will revolutionize the way you teach and immeasurably improve student achievement. Remember: By consciously crafting lessons for maximum "stickiness," we can equip all students to remember what's important when it matters.